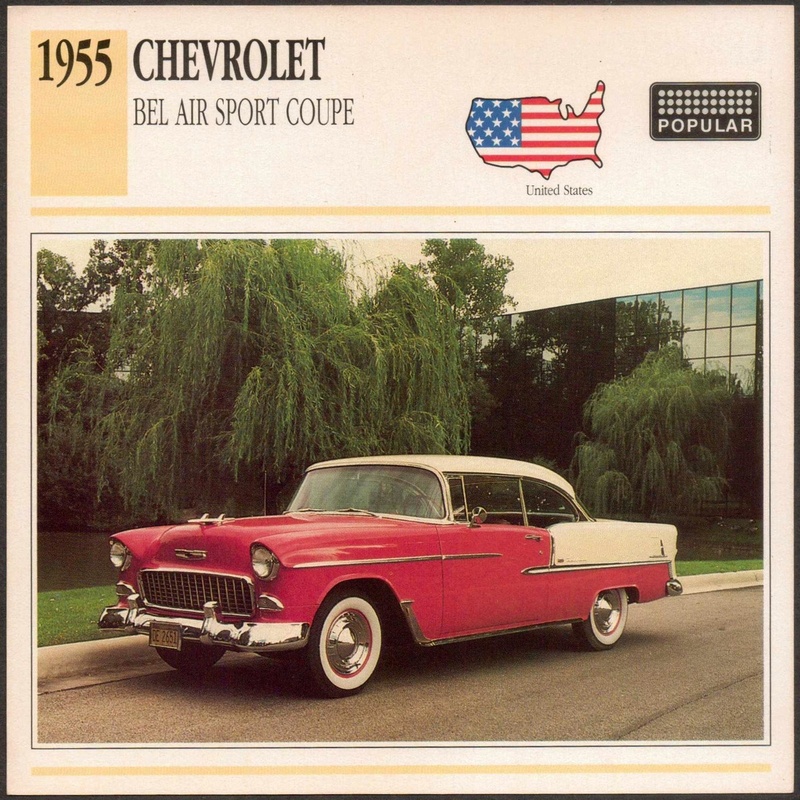 In Cards > Show & Tell and Classic Cars > Chevrolet Bel Air > Show & Tell. 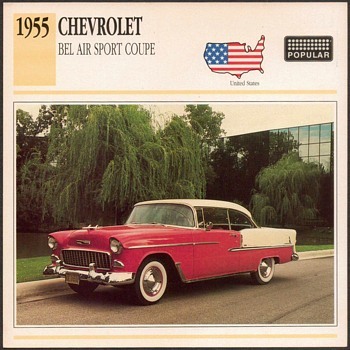 - The 1955 Chevrolet model year was completely redesigned with new bodies, optional overdrive and air conditioning. 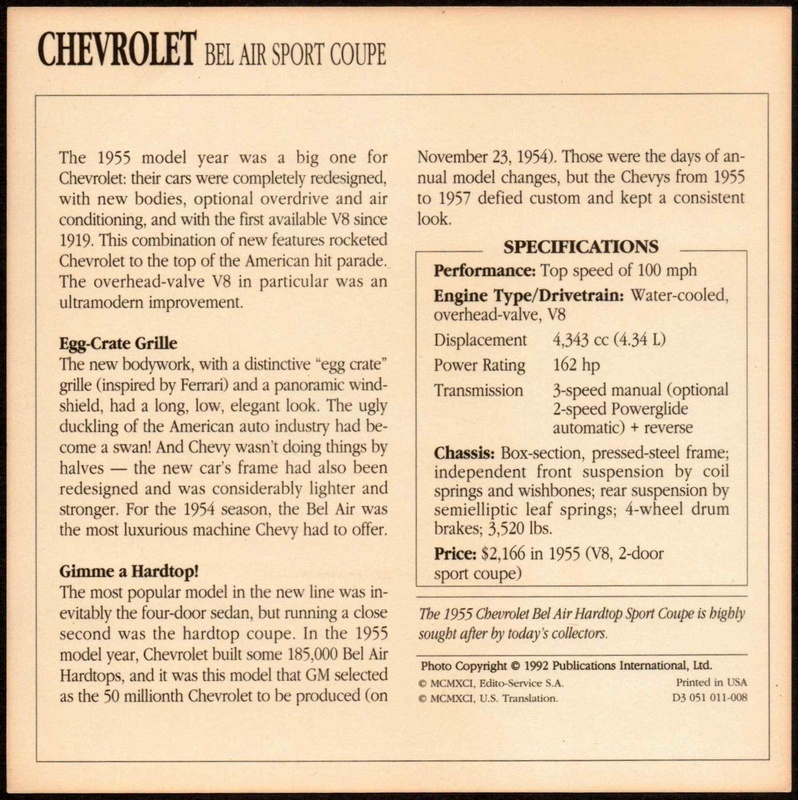 Also the first V8 engine since 1919. 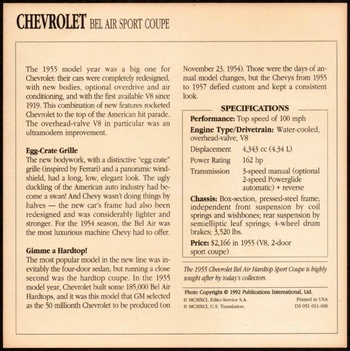 This was the top-of-the-line model out of the three sedans with a price of $2,166 for the 2-door Hardtop Sport Coupe as shown here.